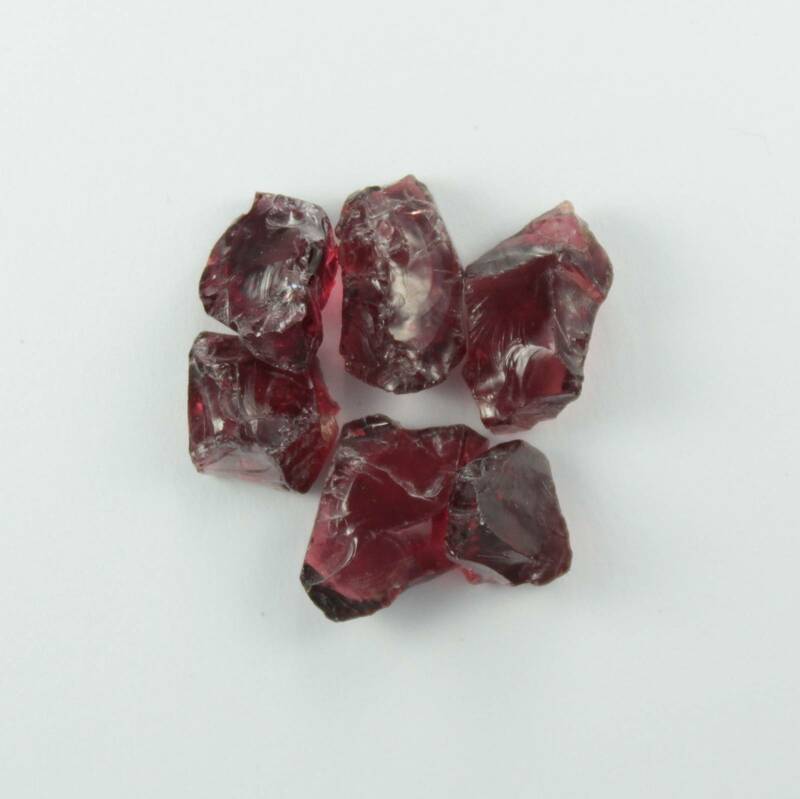 High grade rough Garnet pieces, suitable for small scale lapidary work. 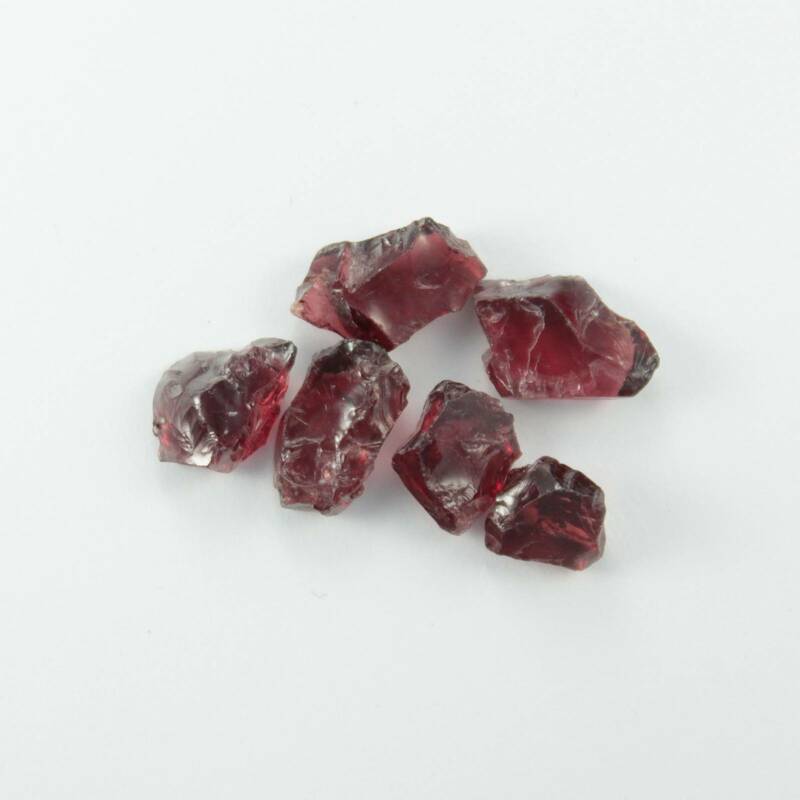 These are a reasonably high grade of rough Garnet, with a lovely red colouration throughout. The pieces measure around 4-10MM each; they are suitable for small scale lapidary projects including inlay. An experienced lapidarist may be able to facet some. Garnet is a fairly hard gemstone – these pieces can certainly be cut and polished, though. We have cut one with a Dremel cutoff tool, and polished some using a lapidary grinder – just make sure to work them wet. 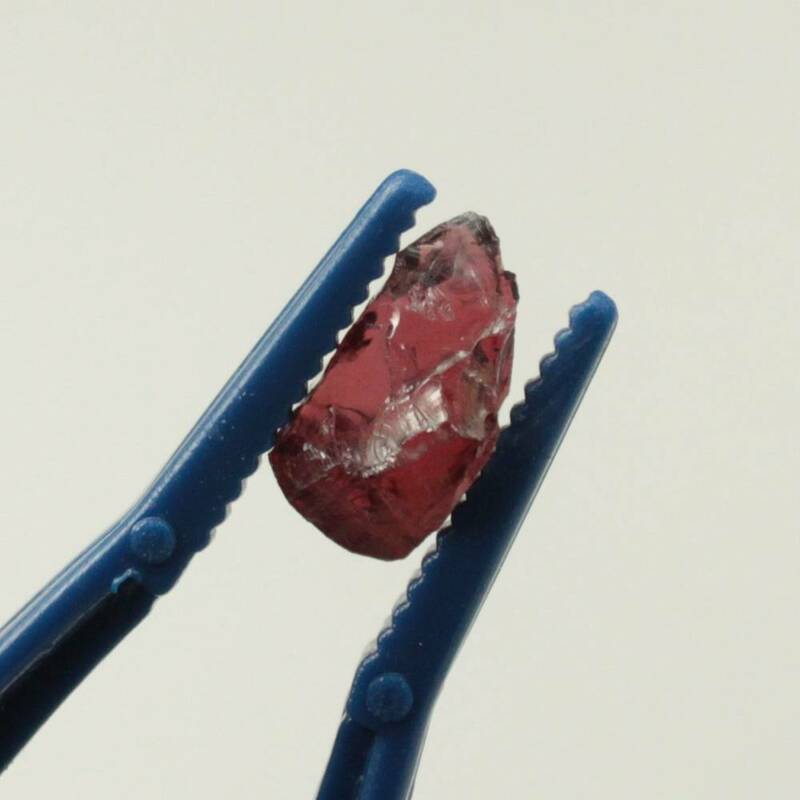 For more information about Garnet, please feel free to check out our Garnet page. For more rough stones for lapidary, see our ‘Rough Rock for Lapidary‘ section.